WHITE MAN FIRED FROM JOB AFTER HE POSTED PIC OF HIS CO-WORKERS CHILD AND HIS FRIENDS POSTED EXTREMELY RACIST COMMENTS! 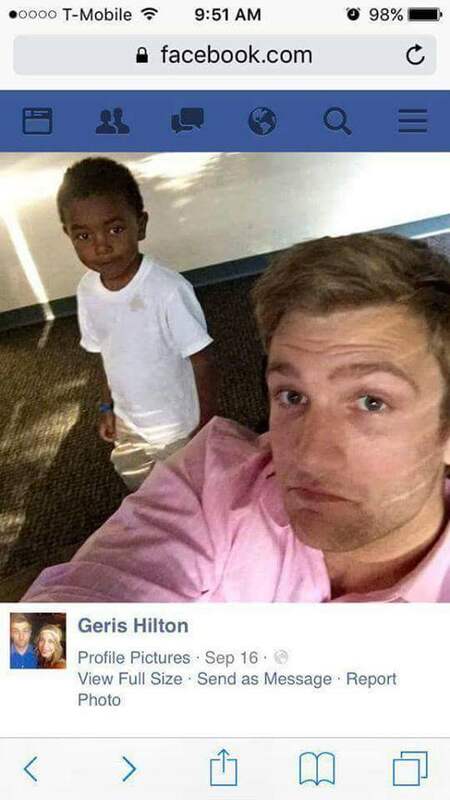 A man named Gerod Roth, but known on Facebook as Geris Hilton, was fired after he posted a picture of his co-workers son on Facebook. 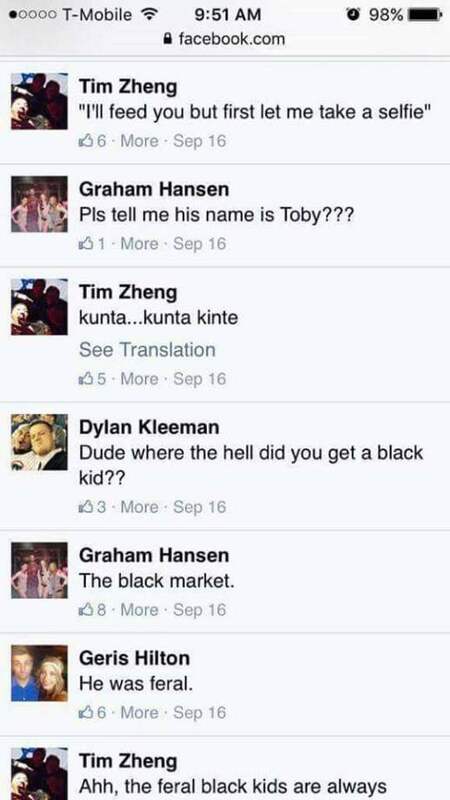 The outrage came after several of his friends posted extremely racist comments about the young African-American child. Mr. Roth was soon fired by Polaris Marketing Group, after the hateful post went viral. My heart aches when anyone is mistreated in any fashion. This is no different than when my son with autism is made fun of because his actions are different. I was so glad on the weekend when he was made fun of by an ignorant teenager that he realized that this girl wasn’t representing Jesus (we were in church) and I was also glad to see her friends embarrassed by her actions and chide her for them. Im so sorry this young boy was treated this way. Im glad that there are those who have not agreed with the man’s actions and did something to correct him. Im also hoping that others recognize that this man and his friends are ignorant and not representative of the one who made this beautiful boy. Nor are they representative of all white people. I don’t think most black people think all white people think like this, but you have to call out the bad seeds!